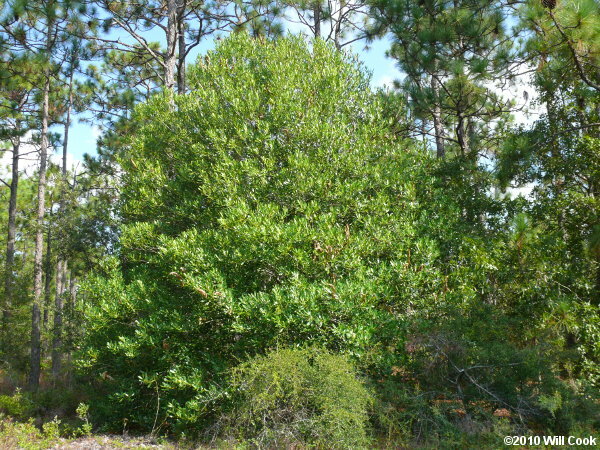 Devilwood is an uncommon small tree of maritime forests along the coast of North Carolina. In the southeastern corner of NC and further south it also occurs inland. 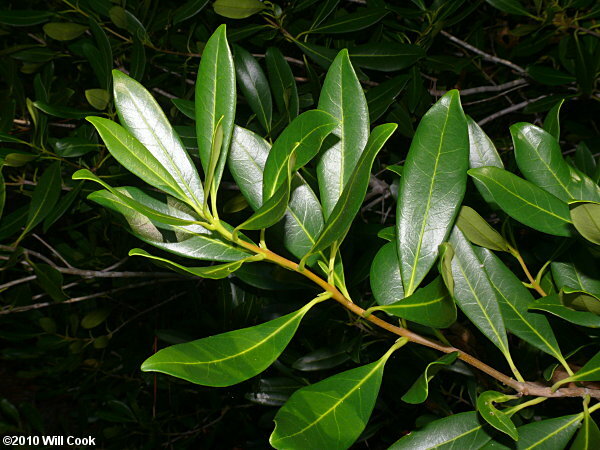 The evergreen opposite leaves are thick and leathery, with entire margins. 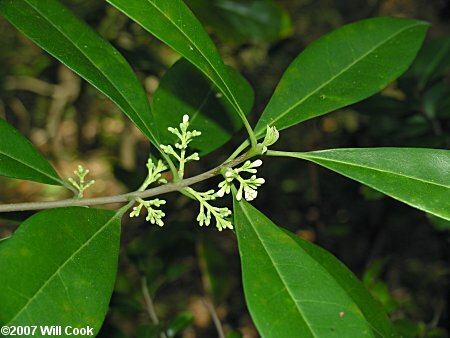 The most similar species is the exotic invasive Glossy Privet (Ligustrum lucidum), which has shorter, broader, long-pointed leaves. The name Devilwood refers to the toughness and unsplittable nature of the wood. 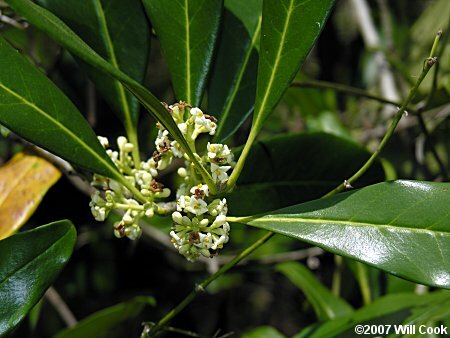 Also known as Wild Olive. 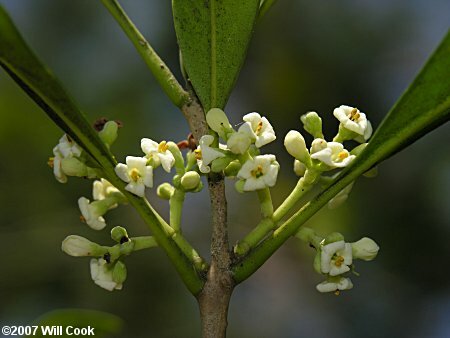 Small white flowers appear in early spring, from late March to mid-April. 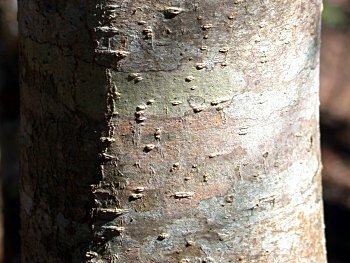 Bark of a mature tree. The bark is smooth, with warty lenticels.